After being out of print for years, a grindhouse-style classic returns—better than ever. 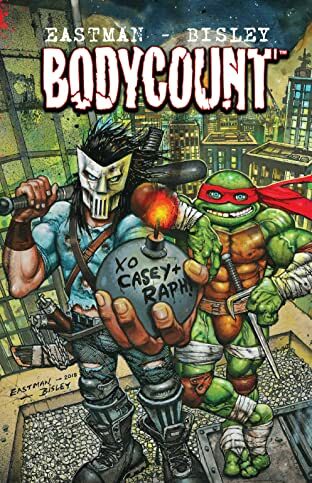 Inspired by the magazine Heavy Metal and the films of John Woo, creators Kevin Eastman and Simon Bisley present a much darker take on the Teenage Mutant Ninja Turtles, spinning a pulse-pounding yarn of over-the-top action and more than a bit of the old ultraviolence. In gritty 1990s New York, our boys Raphael and Casey are swept up into an international murder/revenge/assassination plot, complete with gangsters, thugs, cops, cyborgs, machine guns, and (of course) hockey sticks. Don't miss what might just be the longest-running gunfight in comic book history! 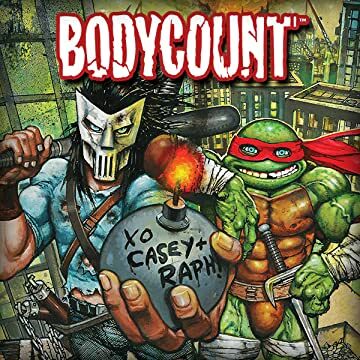 Collects Bodycount issues #1-4 with all-new colors by Kevin Eastman.